Fire Inspectors at the Fire Department Bellevue-Dayton (FDBD) are responsible for coordinating and conducting fire and life-safety inspections in the cities of Bellevue and Dayton. These inspections are designed to help identify potential fire hazards and to ensure that any fire hazards found are immediately corrected. The inspections also familiarize firefighters with the commercial structures in the cities which can help minimize the risk of life and property loss from fire. When it is time for your existing business or apartment building to be inspected, a Fire Inspector will contact you using the phone number you previously provided to set up a date and time to meet you at the site. Fire Inspectors perform annual inspections of new and existing public buildings, multi-family residential buildings of 3 or more units, businesses, schools, churches, commercial structures, senior homes, day-care facilities, and other types of public structures to identify Fire Code violations. These annual inspections ensure that safety features, such as exit signs, fire and smoke alarms, extinguishers, sprinkler systems, occupancy limits, and other necessary equipment work properly, and that fire and life-safety codes are continually maintained. Fire Inspectors are also concerned with things like easy exits in case of emergency, fire suppression systems in large buildings, doors which open in the appropriate direction, and safety precautions to prevent or address fires such as vent hoods for stoves. Fire Inspectors also determine how many people may safely occupy a room or building. When Fire Code violations are found, the building owner has a set number of days to fix the problem areas before Fire Inspectors return for a re-inspection to ensure the violations have been addressed. Our Fire Inspectors are here to assist businesses, contractors, multi-family dwelling owners, and the community. If you are uncertain that your business, or new or existing building, meets state and local Fire Codes, please call one of our Fire Inspectors at 859-261-0083. An Inspector will meet with you to conduct an on-site inspection, answer any questions you may have and make suggestions for fire safety items. There is no fee involved when requesting a Fire Inspector to consult with you to meet Fire Code standards. The name and phone number of the building owner. The name(s) of the occupant(s) of the building, if different from owner. The name and phone number of an emergency key-holder for the business. Extra keys for the Fire Department’s key box. Our Fire Inspectors conduct progress inspections during the construction and remodeling phase of both new and existing buildings. We inspect fire sprinkler, fire alarm and fire protection systems, fire hydrants and associated piping, fire apparatus access, exiting systems, and other construction features to ensure compliance with current fire and life safety codes. 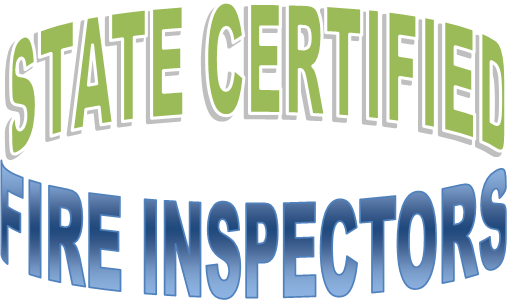 Inspections are usually conducted from the beginning through completion of the project to ensure all code requirements are met. To contact a Fire Inspector when you begin construction or a major remodeling project, please call the Fire Department Bellevue-Dayton at 859-261-0083. Fire Inspectors investigate complaints as related to locked or blocked exits, over-crowding, hazardous materials, illegal burning, improper use of recreational fires, illegal business operations, blocked fire lanes, and other fire and life safety issues. Don’t hesitate to contact the Fire Department if you smell unusual odors, or if you see, hear or have a feeling that a situation doesn’t seem right. We would rather you contact us to ensure that your family, neighbors and the community is safe from harm.